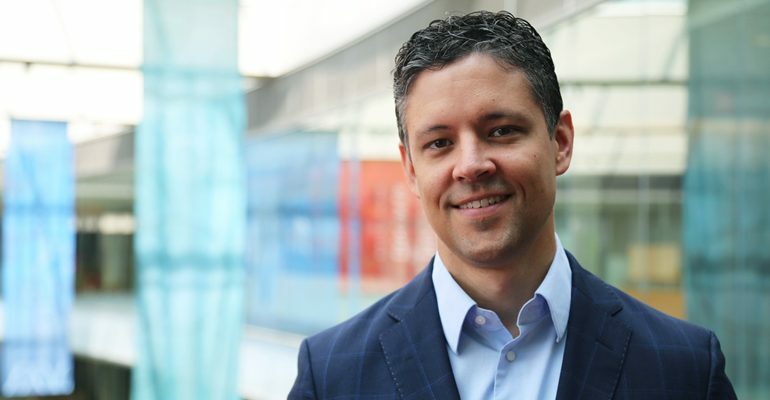 Dave Pagliarini, director of metabolism at the Morgridge Institute for Research, says the list of unknowns is daunting. How does it migrate around in the cell? How does it get used up and replenished? What genes and proteins are responsible for CoQ dysfunction? Why does its presence decline as people age? Pagliarini, also an associate professor of biochemistry at the University of Wisconsin-Madison, and his group are dedicated to chipping away at many of these knowledge gaps in CoQ production and in understanding the role of CoQ deficiency in human disease. CoQ deficiencies are implicated in scores of diseases, including liver and lung failures, muscle weakness, deafness and many brain disorders such as Parkinson’s and cerebellar ataxia. The coenzyme is almost exclusively produced within the body and is often very difficult to replenish through nutritional supplements. Against this backdrop, the Pagliarini lab is developing new tools to shed light on CoQ function, primarily by finding and defining proteins that have a direct link to the chemical. In the past month, Pagliarini’s team has published three collaborative papers that gather multiple layers of information on cells where proteins have been manipulated. Research published in the journals Cell Systems (Dec. 13), Molecular Cell (Dec. 7) and Cell Chemical Biology (Nov. 29) all reveal new clues to coenzyme Q production and function. In the Cell Chemical Biology paper, for example, the research team, led by Morgridge researcher Andrew Reidenbach, introduced a custom drug in their model organism, yeast, that is capable of turning the CoQ pathway on and off. This discovery provides a novel way for researchers to understand, within a living organism, how different levels of CoQ affect metabolic function. 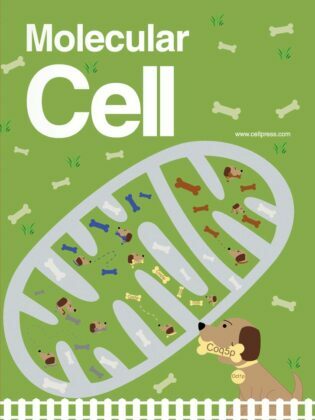 This cover art depicts, like a dog searching for buried bones, a certain protease that “chews up” damaged proteins in the mitochondria. Scientists know very little about its purpose in the electron transport chain that creates cellular energy. The Cell Systems paper—a jointly led project with UW-Madison biochemist Marv Wicken’s group—investigates an RNA-binding protein that has long been associated with mitochondria. But what role the protein actually plays has been difficult to nail down. In this work, led by Chris Lapointe from the lab of professor Marvin Wickens in Biochemistry and Jon Stefely from the Pagliarini Lab, created a new multi-omic strategy to identify the global function of this protein and its role in CoQ biosynthesis. This multi-omics approach — marrying proteomics, metabolomics and other “omics” tools to pinpoint a protein’s function — will be highly relevant moving forward as tool for determining future protein targets, he says. Finally, the Molecular Cell paper shed light on proteases that live in mitochondria that are designed to “chew up” other proteins. These “Pac-man”-like proteins were once thought to serve merely as sort of cellular garbage cans to eliminate damaged proteins in the mitochondria. This study, led my Mike Veling, helped reveal them to be far more diverse in function. In particular, the team discovered a protease that helps an essential CoQ protein “mature” into its final form. Pagliarini says all three papers could have a lasting impact in mitochondrial research that goes well beyond CoQ biology, giving scientists new methods of tracking down protein function. About a quarter of all proteins in mitochondria currently have no assigned function, and many of them could have a link to mitochondrial disease.